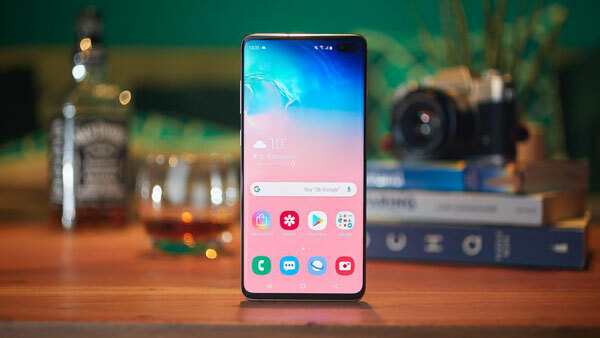 Samsung Galaxy S10 smartphone was launched in February 2019. The phone comes with a 6.10-inch touchscreen display, measures 149.90 x 70.40 x 7.80mm and weighs 157.00 grams. It comes with 8GB of RAM. The Samsung Galaxy S10 runs One UI based on Android 9.0 and is powered by a 3,400mAh non-removable battery. The Samsung Galaxy S10 supports wireless charging, as well as proprietary fast charging. The S10 packs 128GB of inbuilt storage that can be expanded via microSD card (up to 512GB). The Samsung Galaxy S10 on the rear packs a 12-megapixel primary camera with an f/1.5 aperture; a second 12-megapixel camera with an f/2.4 aperture and a third 16-megapixel camera with an f/2.2 aperture. Up front, the Galaxy S10 Plus features two cameras: a 10-MP dual-pixel shooter (f/1.8) and a second 8-MP depth-sensing lens (f/2.2). You can get the Galaxy S10 in Prism Black, Prism Blue, Prism Green, and Prism White colors. The Samsung Galaxy S10 price starts at $899 / £799 / AU$1,349 / AED 3,199 for the 128GB of storage model. Apple Music is one of the most popular music streaming services. It has 45 million songs in its library. 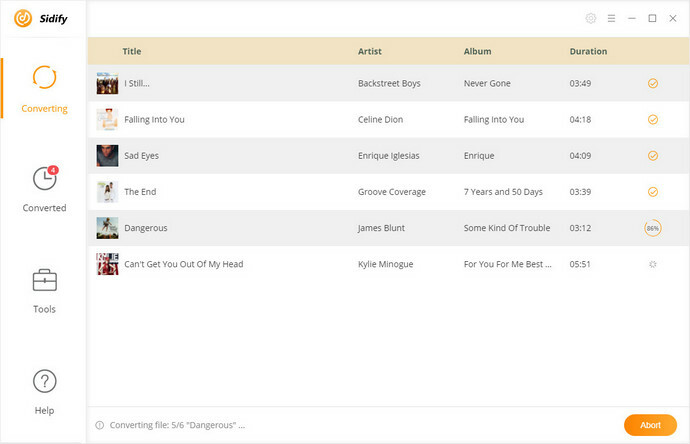 With a features of iCloud Music Library, you can play Apple Music songs across all your devices. Owing to the longer battery life, a large capacity and a host of exciting features, the Galaxy S10 is a nice phone you can buy to enjoy music. But things can get a bit tricky if you decide to transfer songs from Apple Music to Galaxy S10. Do not worry. This article will show you how to play your favorite Apple Music songs on Galaxy S10 and easily enjoy them everywhere. Apple Music isn't limited to owners of Apple devices, you can also subscribe to the streaming service on Samsung Galaxy S10 for playback. 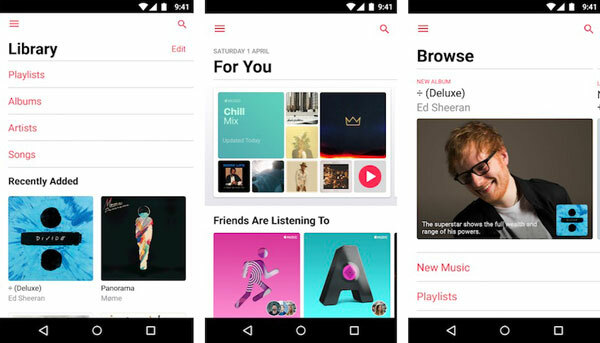 Firstly, you can get the Apple Music app for Android from the Google Play store or download it directly from Apple. You'll need an Apple ID account to use Apple Music. If you don't have one then you'll be asked to create one when you join. The following steps guide you use Apple Music app on Samsung Galaxy S10 directly. 1. Sign in Apple Music on your S10. Open Apple Music, tap "Already a member? Sign In" and then sign in with the Apple ID and password that you own. 2. Tap the free trial offer. You can try Apple Music for free by tapping "Get 3 Months Free", or sign up for an individual monthly subscription, which costs $9.99. Then confirm your membership details. After that, you can choose genres and artists that you like from Apple Music streaming service so that you can listen to the songs with your Galaxy S10 freely. Whether you don't want to be charged after the free trial or you'd like to switch your Apple Music to other music streaming service, you can cancel your Apple Music subscription at any time you want. But the need to pay attention to is that once the membership ends, all the Apple Music are not available any longer. If only we could backup our Apple Music songs to the phone like S10 before subscription expired. 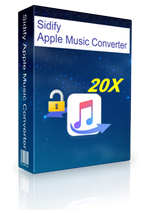 However, Apple Music is streamed at 256Kbps in AAC (Advanced Audio Coding) format with DRM protection, which prevents you from copying outside the Music app. So if you want to transfer Apple Music to your Phone like Galaxy S10, first you need to get rid of DRM protection. 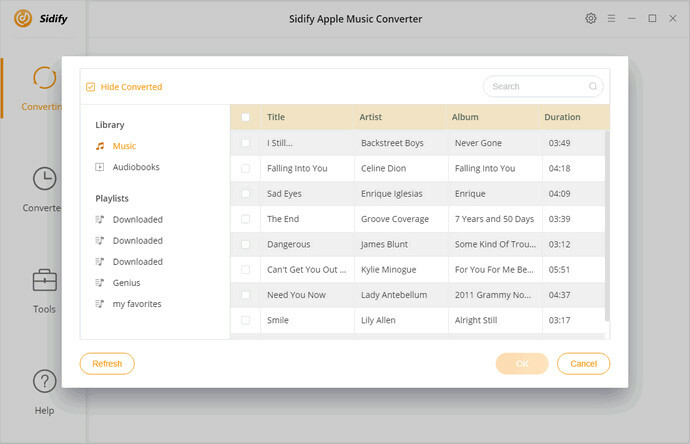 Sidify Apple Music Converter, a DRM Removal tool as well as an Apple Music Converter, is specially developed for users to convert iTunes purchased songs, Apple Music and Audible audiobooks to common audio formats like MP3, AAC, FLAC and WAV with high quality. Hence, you can transfer Apple Music songs to Galaxy S10 for playback freely. Transfer Apple Music to Galaxy S10, iPhone X, iPad, PS4, Amazon Echo, etc. Install and launch Sidify on your computer, you will see the simple user interface as below. 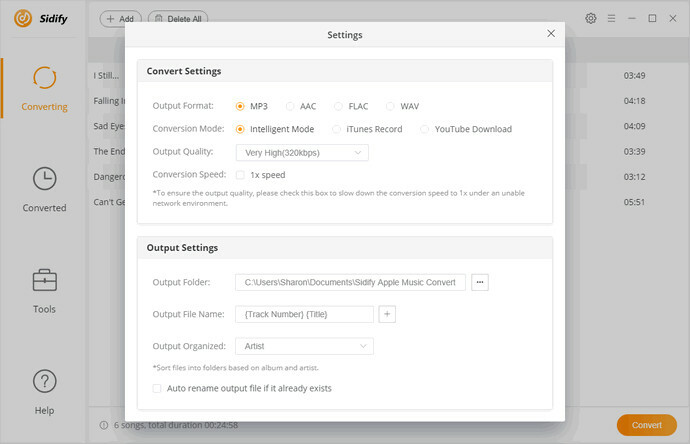 To import Apple Music files to the program, you can click + button to select tracks you want to convert from the pop-up iTunes library window. Then hit OK.
Click the settings icon on the top right corner of the window, you can select MP3, AAC, WAV and FLAC as output format for Samsung Galaxy S10. 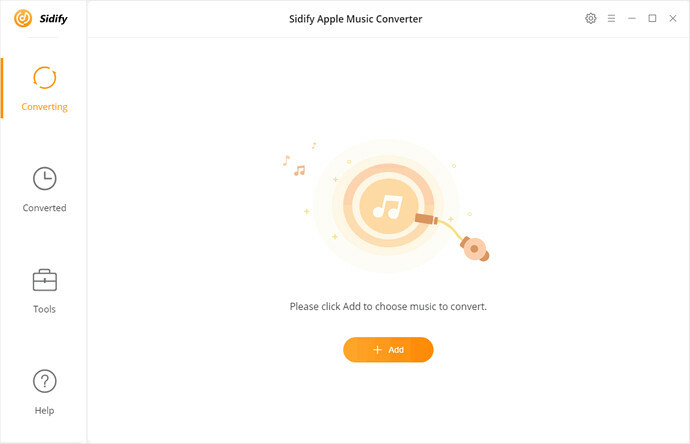 Click Convert button to start the Apple Music to Galaxy S10 conversion process. When the conversion completed, you can find the converted Apple Music files on the history folder. Connect your Galaxy S10 and computer using the included USB cable. You'll now see your device available to view on your computer. Now you can drag and drop the converted Apple Music songs to your new Galaxy S10. Safely eject the USB from your computer, you can listen to Apple Music on Samsung Galaxy S10 anytime and anywhere.